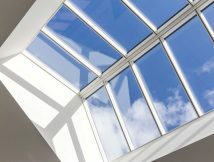 Over the last few years there have been a number ofpeer-reviewed independent studies which provide compelling evidence that access to daylight results in patients being discharged from hospital sooner. 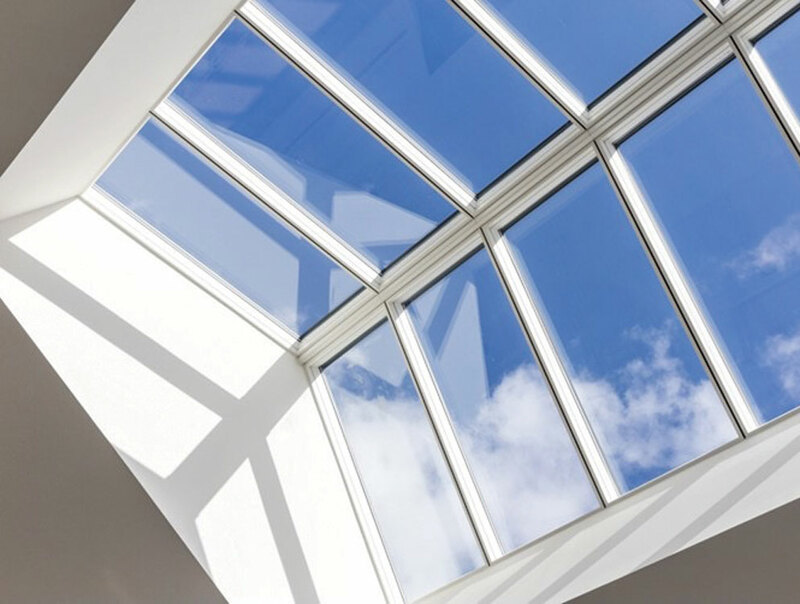 Professor David Strong, in his insightful report; ‘The Distinctive Benefits of Glazing’, has brought many of these studies together and presented them as a compelling case on the benefits of daylight. One of these studies is by Choi et al, published in 2012, in which it was reported that; “A significant relationship appears to exist between indoor daylight environments and an in- patient’s average length of stay (ALOS) in a hospital. 25 per cent of the comparison sets showed that, in the brighter orientations, as in rooms located in the SE (South East) area, the ALOS by patients was shorter than that in the NW (North West) area by 16 to 41 per cent”. Another pioneering study by Anjali Joseph in 2006; ‘A retrospective study of myocardial infarction patients in a cardiac intensive-care unit treated in either sunny rooms or dull rooms’, found that female patients stayed a shorter time in sunny rooms. Mortality in both sexes was consistently higher in dull rooms. Joseph goes on to say, “at least 11 strong studies suggest that bright light is effective in reducing depression among patients with Bipolar disorder or Seasonal Affective Disorder (SAD)”. Significantly, daylight has also been shown to reduce the requirements for pain relief, and has a major influence on depression and depressive illness. For example, Lovell reports the beneficial effect of bright light treatment on agitated behaviour in institutionalized elderly subjects. Elizabeth Brawley goes on to show that the physical environment strongly influences the behaviour and quality of life of individuals with Alzheimer’s disease and dementia as well as those affected by age-related change. Tree Top retirement village was originally conceived as the central part of a conventional ‘core and cluster’ arrangement. However, the initial masterplan was torn up after Dr Hans Marcel Becker invited the design team and Your Homes Newcastle to the Humanitas Retirement Village in Rotterdam. Designed by architects ID Partnership, the award-winning Tree Top Village is the first of its kind in the UK and is focused on delaying the onset of dementia, in part, through high levels of natural light. Dr Hans Marcel Becker’s various mantra for a successful retirement village include ‘use it or lose it’, ‘yes is the default for carers’, ‘maximise the positive – minimise the negative’ and ‘no care uniforms’. This approach and his commitment to deliver an authentic village environment with a host of hotel-quality facilities, won over client and design team. Tree Top Village now provides 75 high quality affordable accommodation units exclusively for over 55s or people with an assessed medical need. 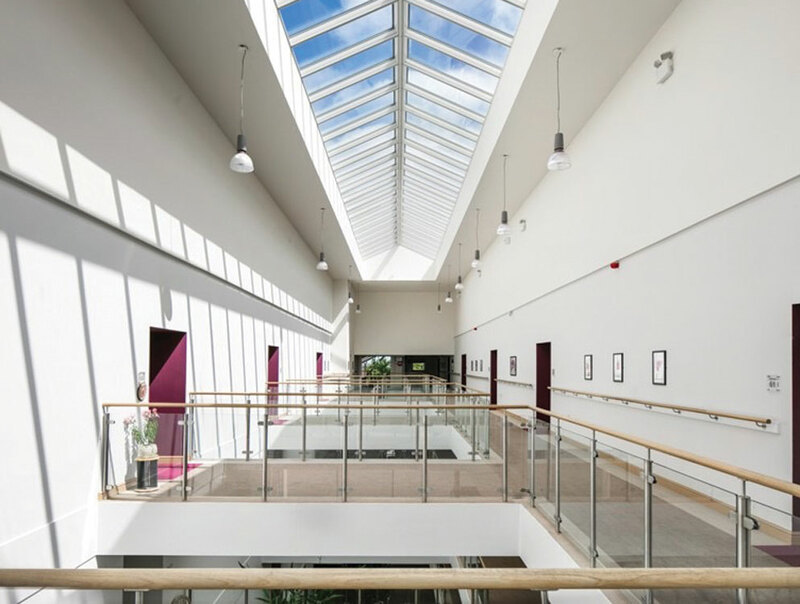 High levels of natural light and ventilation are the hallmarks of Tree Top Village and it achieves this through extensive use of our modular skylights. 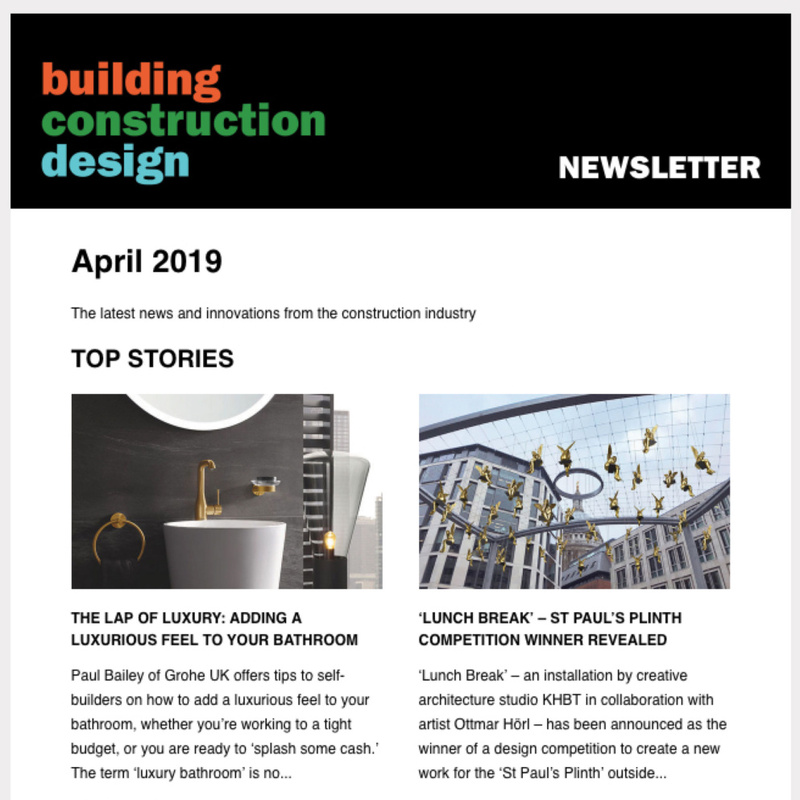 Taking a lead from Dr Hans Marcel Becker’s philosophy, ID Partnership designed Tree Top with rooflights running the full length to create a ‘contemporary hotel feel’. It was felt that this encouraged residents to actively engage and participate and meant each apartment overlooks the main, naturally-lit thoroughfare. The atrium was fitted with 60 ridgelights. A further 10 longlights provide illumination in areas away from the atrium. Our commercial team worked with Wates Construction to value engineer the original curtain walling design envisaged for the rooflights. We presented the benefits of the self-supporting, modular ridgelights for the central atrium, which comprised two rows of skylights that add natural light, ventilation and openness to the areas below. Being self-supporting meant they eliminated the need for the steel sub-frame support system. All of the properties at Tree Top achieve Lifetime Homes standards. The Phase One development achieved BREEAM ‘Very Good’ accreditation, whilst the Phase Two scheme meets the requirements of the Code for Sustainable Homes Level 3. With an ageing population and growing incidence of Alzheimer’s and other age related disorders, how we care for the elderly will remain in the spotlight. 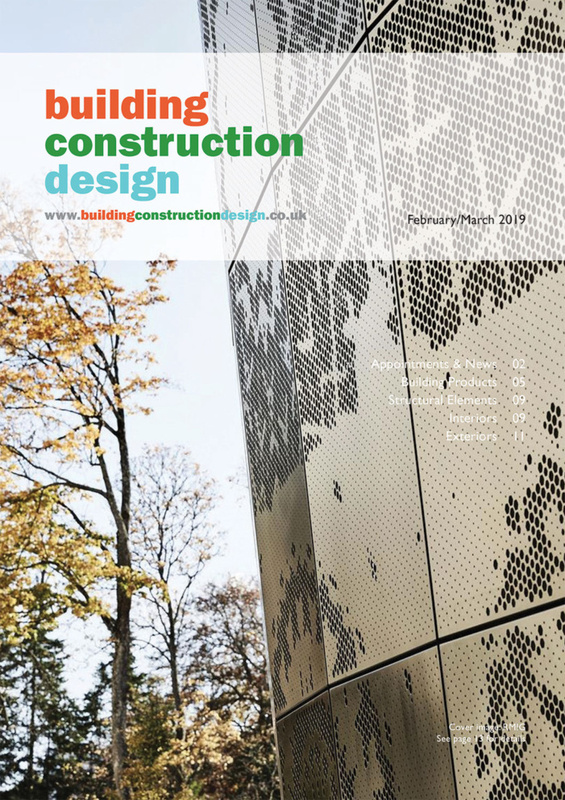 Research has shown that the design of buildings is not just an incidental concern, but is an integral part of ensuring the health and well being of occupants, whether it is a hospital, care home, school or workplace.